We really got lucky in Sri Lanka! Last week of December 2017 saw me exploring the ‘Pearl of the Ocean’ with hubby and I must say each day brought something new. While it not only shaped into a fantastic holiday, some experiences left us delighted to the core. After spending 2 days in Colombo and taking a train ride to Nuwara Eliya, we traveled to Wellawaya. Our one-day and one-night stay at ‘The Kingdom’ in Wellawaya in Sri Lanka was beautifully curated. Without doubt, the food walk in Colombo, the stay at the Kingdom and the whale watching marine adventure at Mirissa qualify as three major highlights of our trip to Sri Lanka. On 30th December, we checked out from Nuwara Eliya and made our way to Wellawaya through public transport. Before heading to the beaches of Mirissa and Welligama for the New Year eve, we had saved a day to indulge in the nature and wilderness of Sri Lanka. 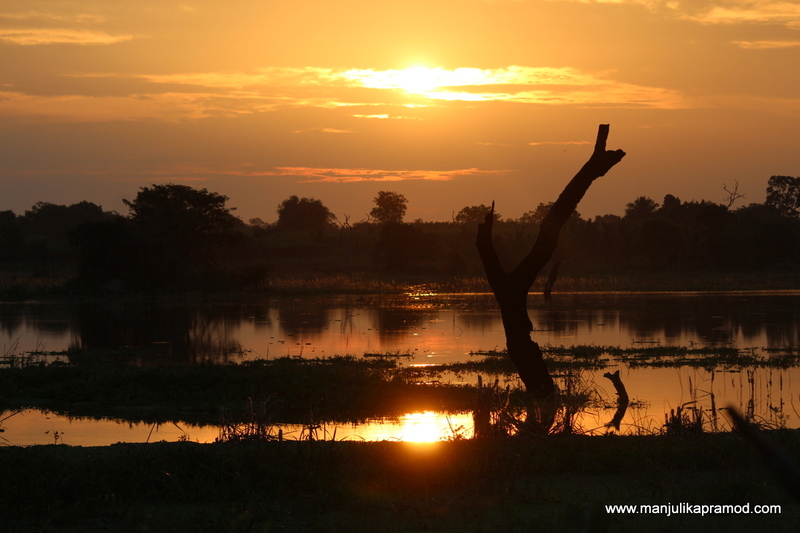 I know when we talk of wildlife in Sri Lanka, the first word that comes in mind is Yala National Park. Unfortunately, we couldn’t go for the leopards into the jungles as the trip had been planned in hurry and we only had 8 days to include a lot of things. 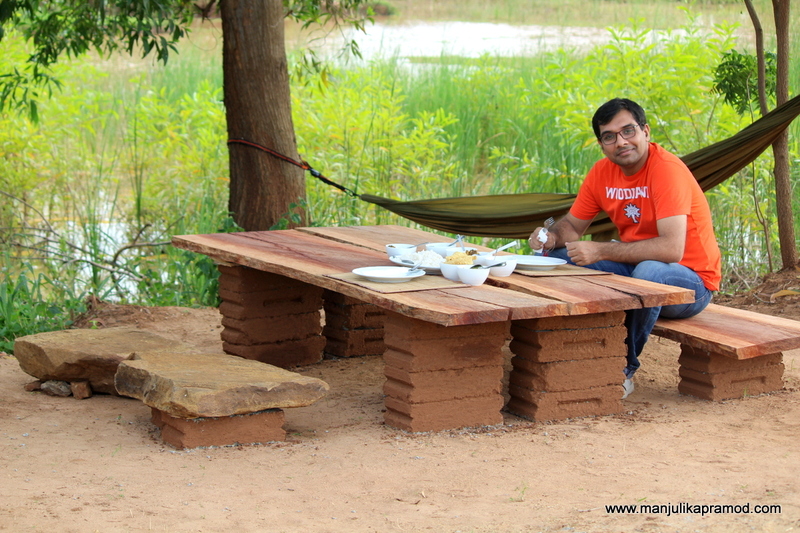 Instead of going to Yala, I chose to go for an offbeat stay around the buffer area in Wellawaya. 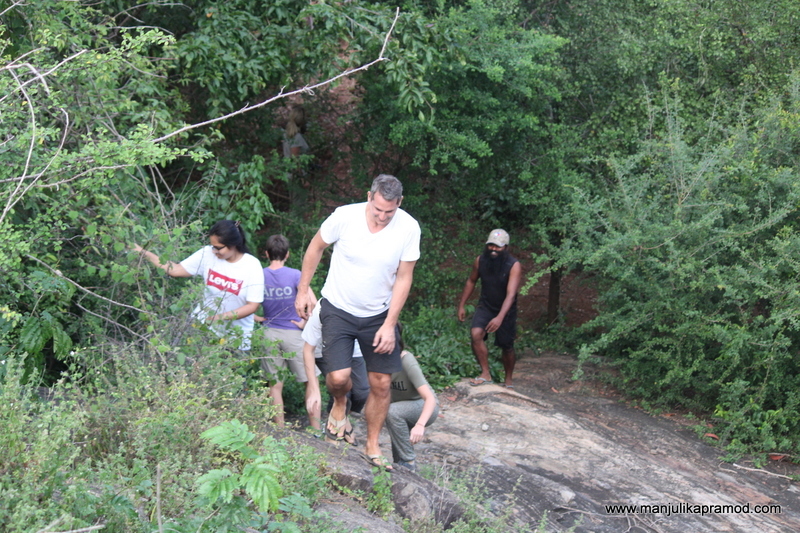 The day spent at Kingdom Eco Lodge and Farm gave us a combined experience of a safari tour, a lavish local lunch, a barbecue dinner and a walk in the farm. With an overload of nature and wilderness around the lodge, it came out to be one of the most memorable experiences in Sri Lanka. 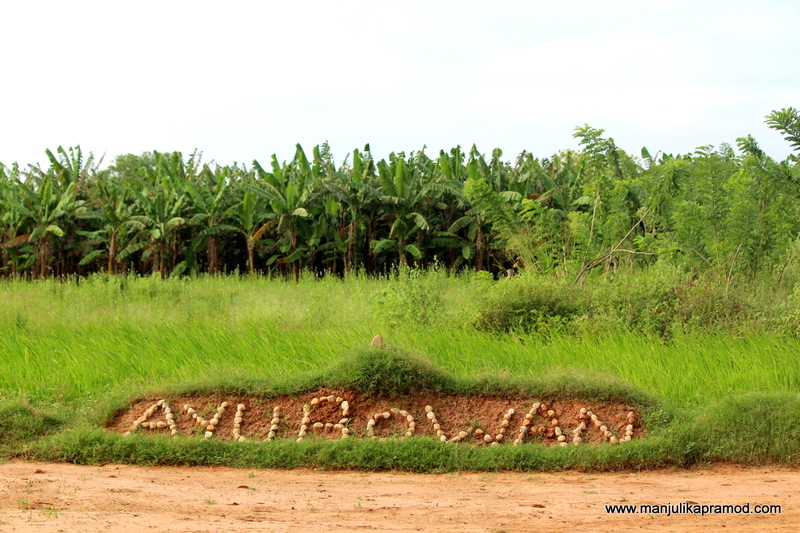 Google says “Ayubowan” is the word used in Sri Lanka to greet someone. It means Long Life. One is Generally greeted by joining two hands in prayer-like manner and saying “Ayubowan”. 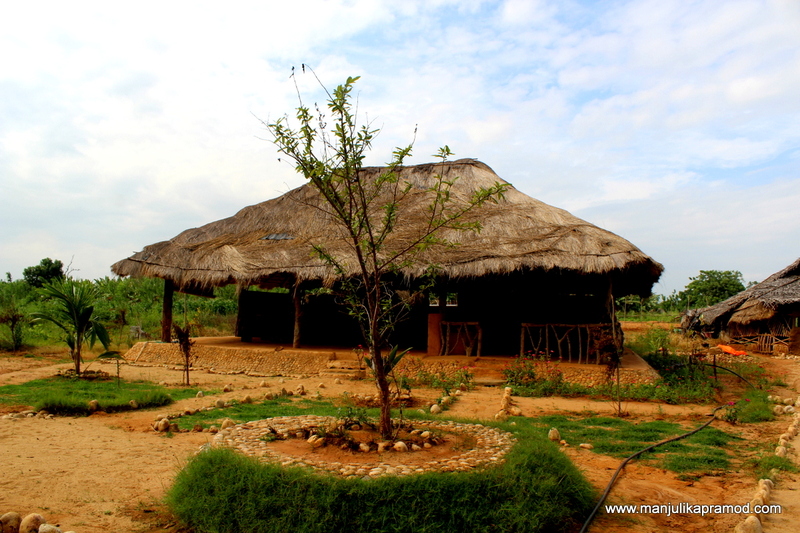 Wellawaya Rural Farm makes a a perfect combination of rustic and eco-friendly getaway. 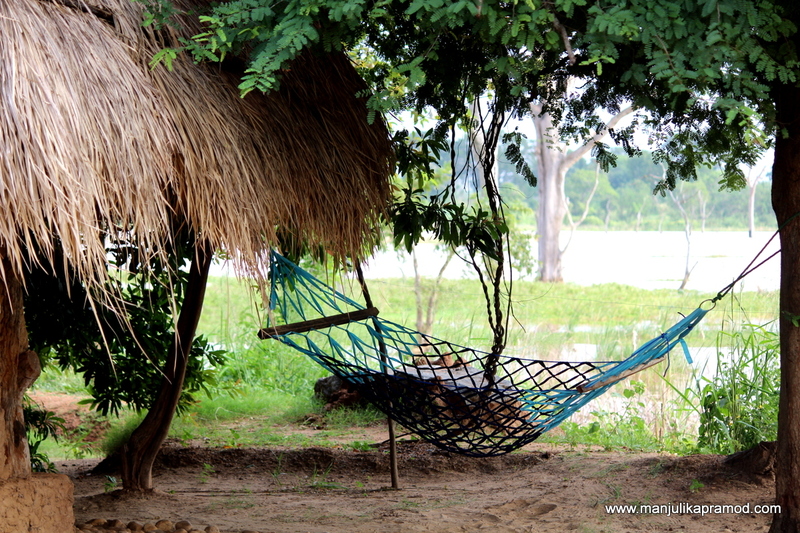 It is like a hideout in the middle of the jungle, overlooking a natural lake and surrounded by wildlife. 9 kilometers away from the clutter of the city, there is none to even give a competition to it. There are no lodges, resorts and hotels in the vicinity. Located in the lap of nature, the scenery is absolutely beautiful and unique. 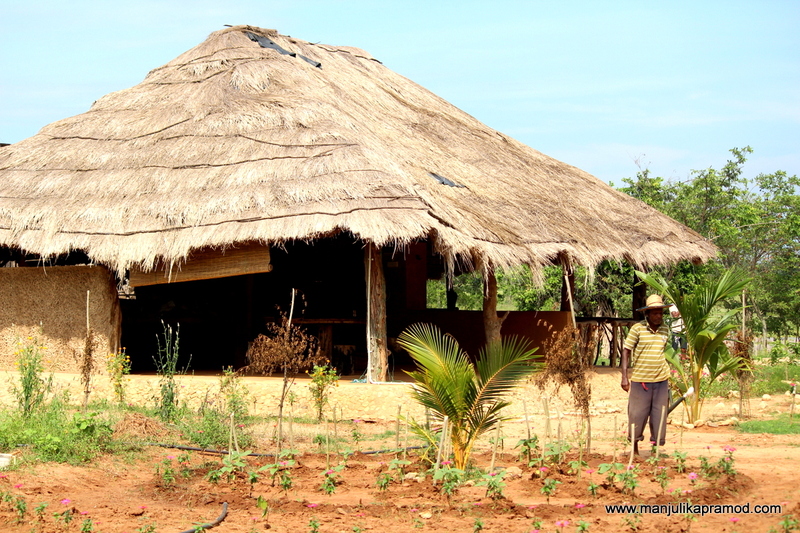 The cottages are most interestingly built, in the most eco-friendly way. It is truly a serene place which helps you escape the mundane chores of everyday life. 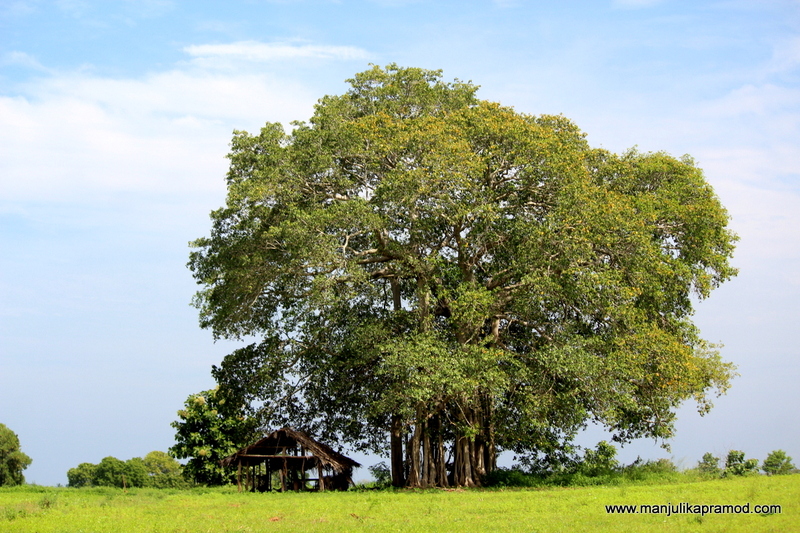 Overall, it is a beautiful way to discover Sri Lanka in a totally different light. The whole experience from being picked up in 4×4, the drive through the vast agricultural lands planted with Orange, Mango, Banana, Papaya and many other vegetables, safari through the lake and amazing home-made food made sure that we were delighted beyond our expectations. Dim came to pick us. On the way to the lodge, I was lucky to see a dancing peacock. The owner Dim, looks into everything personally despite having a great team. No doubt, he has to be one of the most hospitable and warm person whom we met in Sri Lanka. It overlooks a natural lake. I had never lived in something like this before. The pictures will give you an idea as to what it means to live in a room that has no door and you sleep to the lullaby of jungle noises. The sun rays reach right to your bed and the birds give you a wake up call. The best thing about this place is that you get to experience just what you see in the pictures. 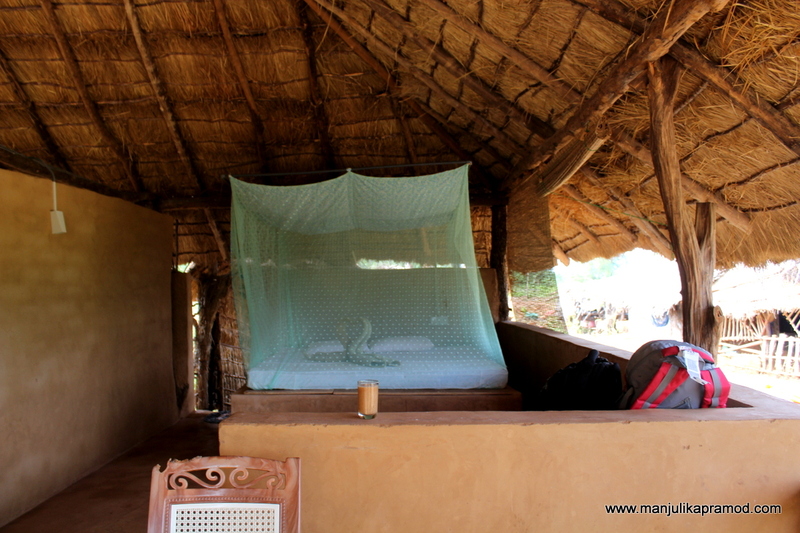 The bed is made on mud, is covered with mosquito net and has the cleanest beddings. The modern bathroom fittings are made to the taste of global travellers . The shower is the most interesting creation of Dim. If I told you that I saw a land monitor lizard, chameleon and sparrow in my room, you might panic. While I am writing, I am surprised myself that I stayed there. A few years ago I couldn’t even have thought of doing this but now with my travels, I get different kind of surprises. This wasn’t difficult at all. These creatures were harmless. I remember, I always double checked the washroom whenever I entered to save myself from surprises. There was a sparrow’s nest on the roof of my room. And if you are a dog lover, you will find many to make friends with. 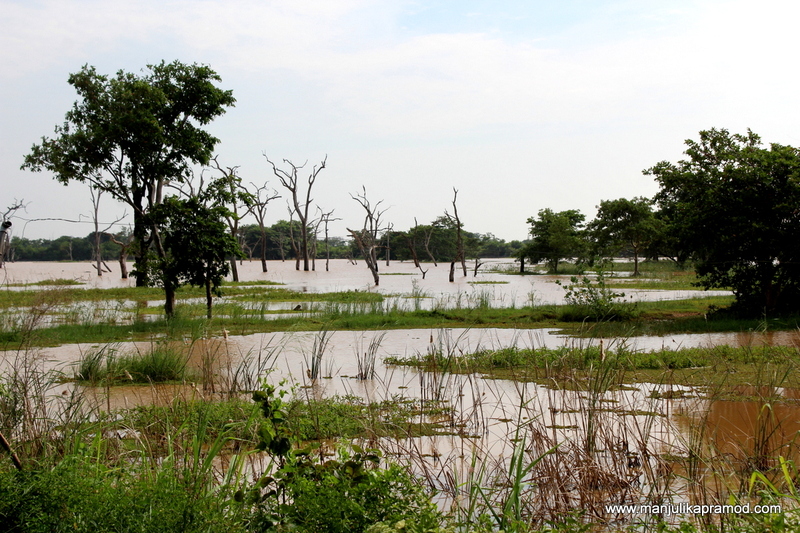 In fact, the most interesting thing that pulled me towards ‘The Kingdom’ was the fact that the natural lake is frequently visited by herds of wild Elephants. It dint happen during my stay but Dim had many stories to tell. This is how my room looked. Have you stayed in a room which has no door? This interesting shower got my eye! Dim has given me directions and asked me to get down at a particular temple near Wellawaya. We were there just where he had told us. And he was bang on time. He had come to pick me. After driving in through the farms, we reached the lodge. There were three other families from Austria who were already putting up there. Thus, the eco-lodge was packed for the night. The whole ambiance of the place was so interesting that it kept the photographer in me, occupied for the first hour. 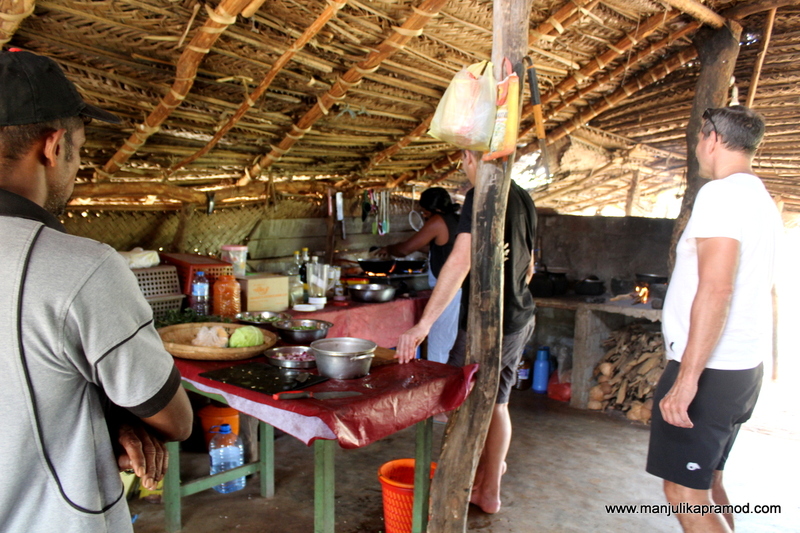 By this time, fresh lunch was cooked and served to us. The other guests took some cooking lessons too. After the sumptuous local indulgence, we couldn’t wait for the safari. The ride was thrilling, adventurous and a lot of fun. The kids in the gang had an amazing time. 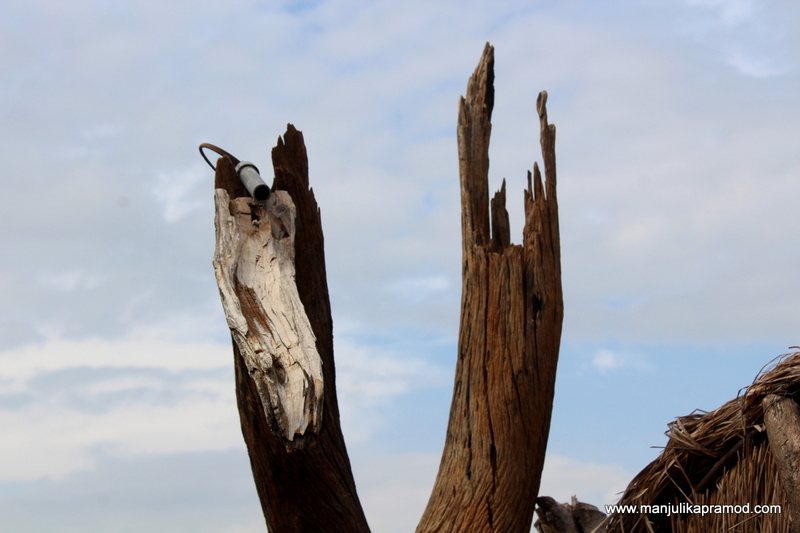 We went around the buffer area of block 9 of Yala National Park but unfortunately had no luck with the elephants. We crossed the lake, went hiking, took a whole round of the lodge. 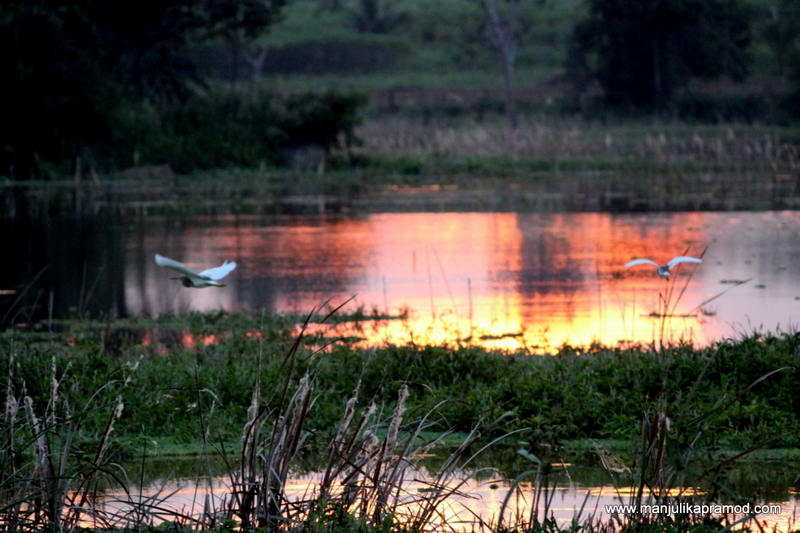 We saw beautiful birds on the way and this is definitely a place for birdwatchers. By the time we returned, the sun had already set and the twilight gave way to lights in the lodge. And all that we saw in the safari. We thought we might have some time to rest but Dim was on his toes for making a barbecue. Roasted chicken and grilled fish on the menu was already making me hungry. My husband was the only vegetarian around but he was not left aside. Vegetables noodles and corn were cooked for him right away. One of the driver’s with the other guests was a local and he entertained us with some Sinhalese songs after the dinner. By 10:30, I was on my bed because I wanted to be an early riser. It was worth waking up for the sunrise. The reflections in the lake had an undue charm about themselves. I got lucky with different varieties of birds too. In the next hour, while everyone freshened up, I went around and walked around the lake. I was delighted to find string hoppers and dal for breakfast. Soon, it was time to pack up and on our request, Dim dropped us just there where he had received us. A fabulous sunrise in Sri Lanka. It was the last one of 2017. 31st Dec it was! 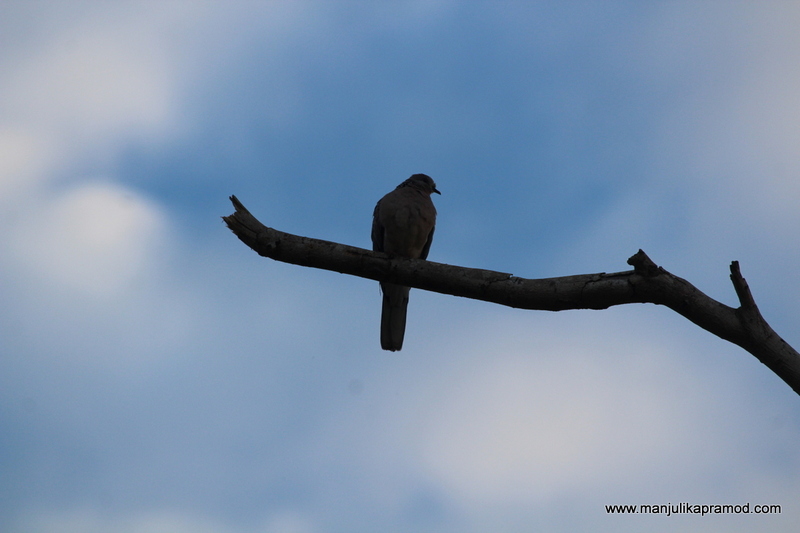 I saw a number of birds in and around the lodge and I will do a photo-story around it. A great place for bird lovers. What a power packing and eventful day it had been? Oh my God that peacock is huge! Wonderful country. Sri Lanka is high on my bucket list, I’ve heard great things about it and your article confirms everything! 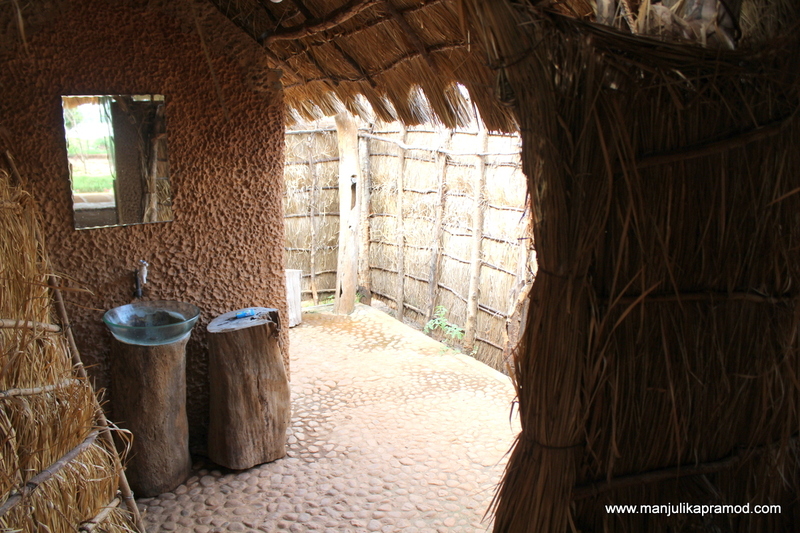 This eco lodge looks fantastic, I’d love to experience staying in a room with no doors! This seems like quite the nature inspired adventure! I enjoy the simplicity in the images – I especially like hanging out by the lake but always a no to creepy crawlies like lizards! I have wanted to visit Sri Lanka for the longest time now. When I do, I think I now need to accommodate the Kingdom into my plans. I love resorts like these which merge seamlessly into the surrounding landscape. This eco-lodge looks fantastic! I have never stayed in a place like this, in a room with no doors and an open shower too but I do find it quite cool. I couldn’t make it to Yala on my trip to Sri Lanka because I just did not have the time but I can see that I missed out on a really cool safari experience! That peacock is so pretty. I know little about Sri Lanka so I don’t feel like I can contribute much to a conversation about it. However, your post has opened my eyes as to other side of Sri Lanka that I don’t normally read about. I hope I can get to experience this one of these days. I am sure it will be as worth it as yours! This post has come right in time as I am packing my bags to leave for Sri Lanka tomorrow. I love that you did so much – right from adventure to having a great place to stay. How wonderful it must have felt to be woken up by the sun rays right in your bed and wake up call by birds. Srilanka is a little island, so blessed by Mother Nature. 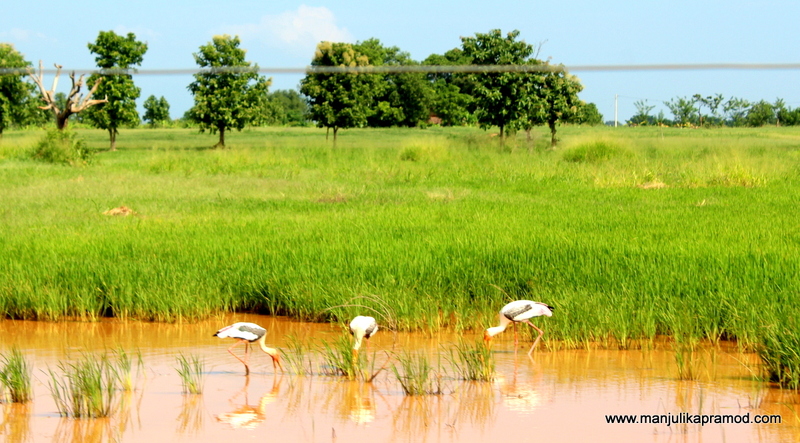 The beauty of the wildlife here in Yala looks exquisite. It looks so much like the villages of Tamil Nadu in India. Whoa! The room is just so perfectly authentic. I’d totally want to stay here, even if it has no door!! !